What a tough week on the tip... let's aim for better this week. 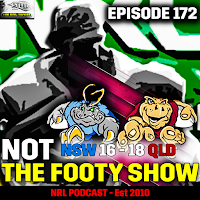 🚨 Listen to NOT The Footy Show Episode 172 below. After changing to the Bulldogs last week... I sincerely regretted it. Eels please. If I was confident the Titans would stay healthy I'd tip them here but you really can't avoid the Dragons in this one. Well if you want an upset - go for it with the Titans - heck The Solution is finally on the bench. Brisbane don't deserve to be tipped against here - they were great last week coming back to beat Canberra. But Melbourne get Cronk, Smith, Slater and Chambers back for this one so I'll go with them - especially given how they played without them in Adelaide. Tough one to pick that's for sure - Roosters will miss Cordner and Taukeiaho big time in this forward matchup and for that reason I lean to Cronulla. But back your gut here if you disagree - I certainly struggled with this one. 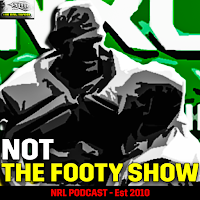 Manly deserve your faith - even though I haven't picked them nearly enough this season. Speaking of faith... don't pick Canberra. Problem is I can't pick the Cowboys without JT on the road against what is supposed to be a good team... I emphasise 'supposed to be'. Penrith may want to win this if they think they are a footy team worth worrying about at the pointy end of the season. Souths don't fit in that category.